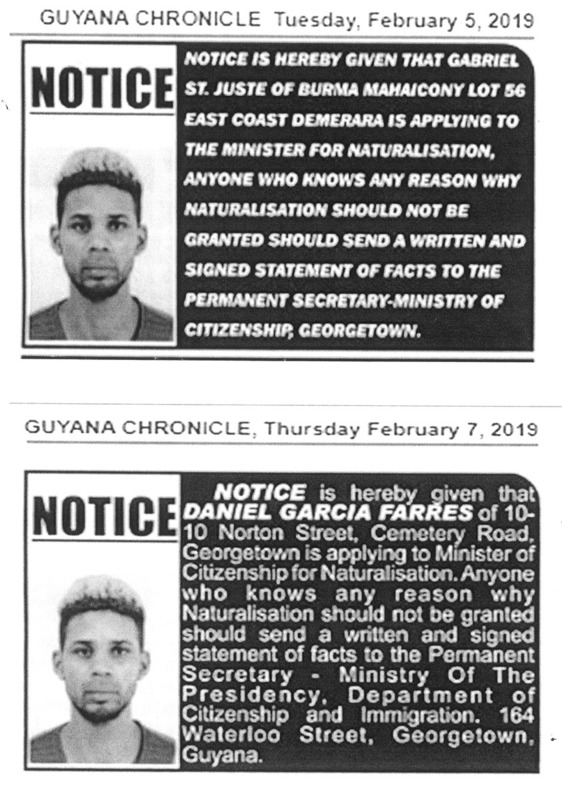 Opposition Leader Bharrat Jagdeo yesterday accused the Department of Citizenship of “corruption” following the publication of notices for naturalization, where the same photograph of two applicants appeared on two different occasions but with different names and addresses. However, such publications are the responsibility of the applicant not the Department. The Guyana Citizenship Act, Chapter 14:01 sets out the procedure that an applicant for naturalization must follow. Under the heading, “Advertisement and submission of application”, it states that the applicant has to submit the filled application form and required fee along with two separate issues of any newspaper circulating in the district where he or she resides in which a notice for naturalization was advertised. 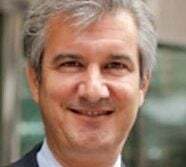 After checks, Stabroek News was told that the applicant is responsible for the publication of the notice and not the Department. An applicant can be prosecuted for providing false information. ….